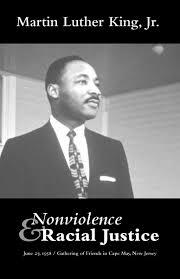 Nonviolence is a powerful and just weapon. which cuts without wounding and ennobles the man who wields it. It is a sword that heals. —Martin Luther King, Jr. In honor of Martin Luther King Day, HCC library presents January recommended reading/viewing list, focusing on nonviolence and racial justice. Please come to see what Highline Community College Library has to offer by browsing our recommended reading list. You can also find these materials on our Recommended Reading display! rack on the Plaza Level of the library. Please check them out and enjoy them!